Tournament Format: 16 player Swiss style league. We are aware a number of you have an interest in the six nations game that will be going on after the winner and prizes are announced. We are pleased to announce that the hotel will likely be showing it in the bar, and we will be showing it in The Card Room, whether it is on in the bar or not. Specifically, we will be showing England vs. Wales in The Card Room from 17:30. 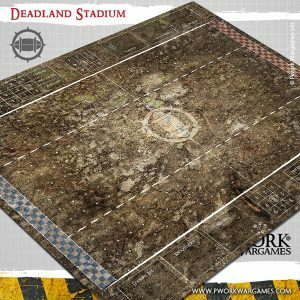 Your choice of PWork Wargames PVC/Vinyl game mat with dug outs (73x92cm). 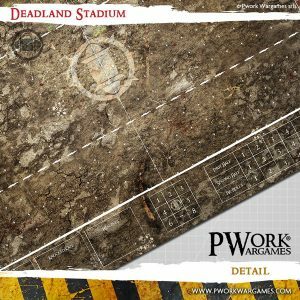 Full weekend entry into Concord Gaming Convention. Lunch refers to time slot, food is not provided as part of the ticket. 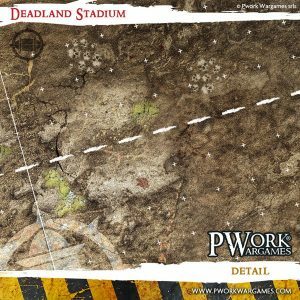 Images shown are of PWork Wargames Deadlands Stadium. You will have your choice of available mats, should you win the tournament. As you get your choice of board, we will order it with you on the day, however you will need to allow time for delivery.